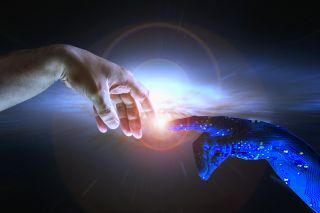 Despite the popular belief that artificial intelligence is coming to take your jobs away, accountants would love some robotic help to get them through the day. This is according to a new report by Sage, which says 96 per cent of accountants are confident about the future of accountancy, as well as their role in it. Despite welcoming change, more than two thirds of respondents (68 per cent) expect their roles to change through automation, in the future. Here’s what accountants are expecting from automation: almost four in ten (38 per cent) see number-crunching as their number one frustration. Thirty-two per cent still use manual methods for this work. A quarter (25 per cent) use Excel, while seven per cent still use handwritten notes. Eighty-six per cent would “be happy for technology to make such admin elements of their job invisible”. The full report, entitled Practice of Now, can be found on this link.